Fans of shmups & arcade games, big news are coming for you! As it happened with Cursed Castilla, Super Hydorah is going to have a physical edition for Playstation®4 in Spain, thanks to the exclusive agreement between GAME Stores and Abylight Studios. Save the galaxy with your Delta Lance with this edition that includes the complete game, a manual in Spanish and a ​​special sticker ​designed exclusively for this mission. The release date is still to be confirmed, but this physical edition is already available to pre-order at GAME Stores. For those living abroad, don’t worry pilot. 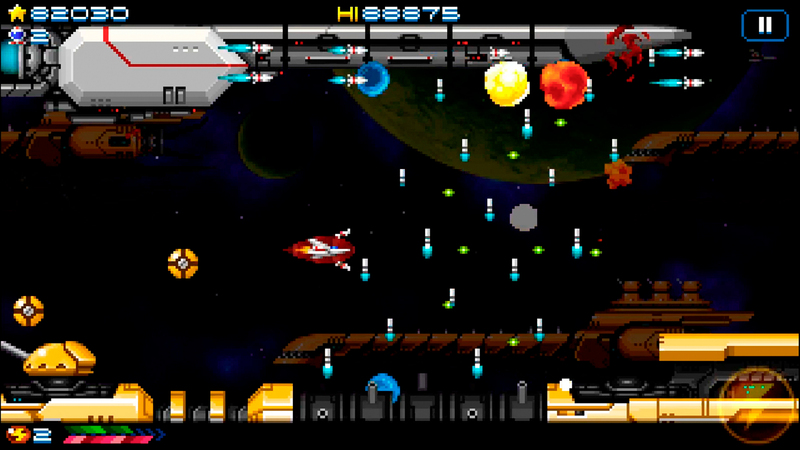 It’s on the works to release a standard edition of this shoot’em up on our upcoming web shop. Stay tuned! Tags: Gryzor87, Locomalito, playstation 4, PS4, SHMUP, shoot'em up.